Mt Rainier as viewed from the Sunrise Meadow under the stars. The bright light above the trees on the left is our red planet neighbor Mars. 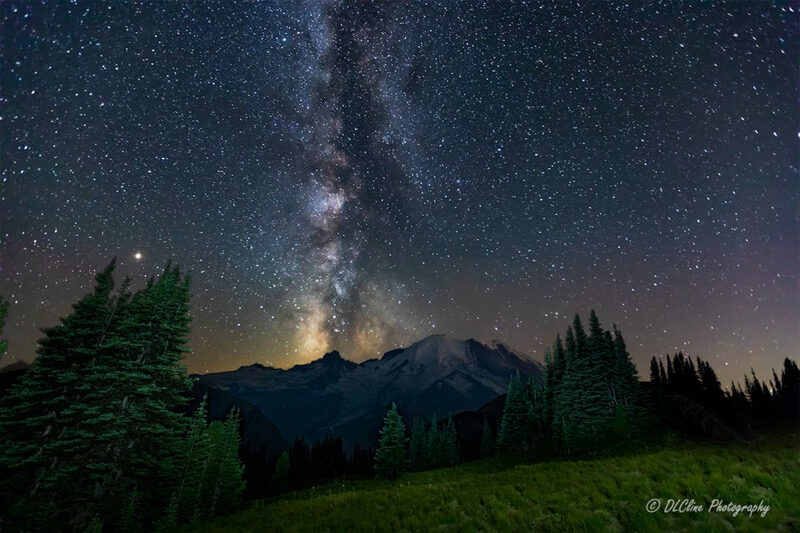 The galactic core of the Milky Way is lined up with Little Tahoma’s peak.